Any GST payable for Services by way of transfer of a going concern as a whole or an independent part thereof? Does Services by way of transfer of a going concern as a whole or an independent part thereof fall under GST exemption list? I am doing Services by way of transfer of a going concern as a whole or an independent part thereof. Should I need to pay GST? As per GST Law 2017, there is no GST payable on Services by way of transfer of a going concern as a whole or an independent part thereof. So the rate of GST payable on Services by way of transfer of a going concern as a whole or an independent part thereof is nil rate. There are six GST tax slabs – 0, 5, 12, 18, 28, and 28 percent plus cess. Commonly used Goods and Services at 5%, Standard Goods and Services fall under 1st slab at 12%, Standard Goods and Services fall under 2nd Slab at 18% and Special category of Goods and Services including luxury - 28%. The most essential goods and services attract nil rate of GST under Exempted Categories. Luxury goods and services and certain specific goods and services attract additional cess than 28% GST. 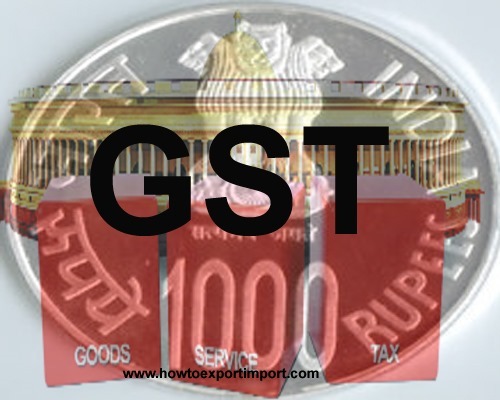 The above details about GST rate tariff on Services by way of transfer of a going concern as a whole or an independent part there of is only for information. The validity of above information and amendments about GST rate on Services by way of transfer of a going concern as a whole or an independent part there of may be verified before any business dealing.